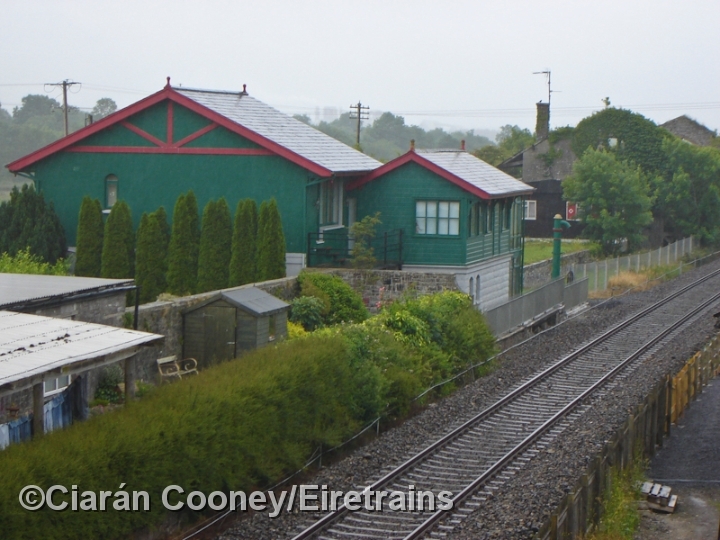 This is Drumsna, the disused intermediate station between Dromod and Carrick-on-Shannon on the ex Midland Great Western Railway's Dublin to Sligo line. 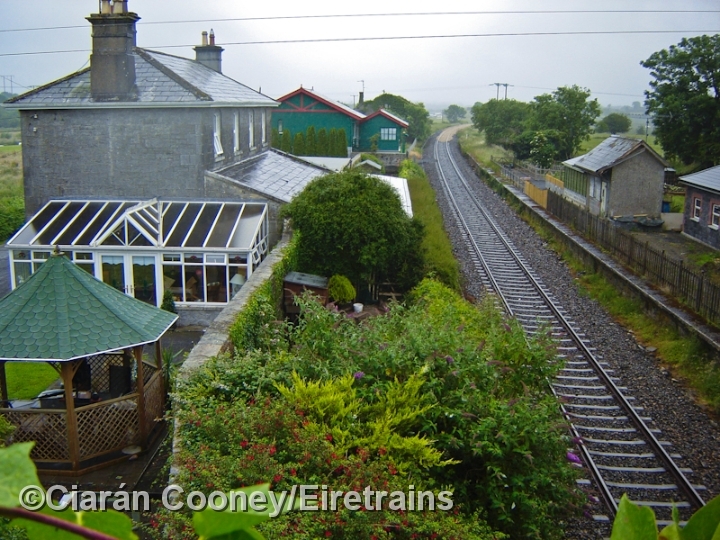 The station served both the smaller Drumsna village, and the larger town of Jamestown just to the west. 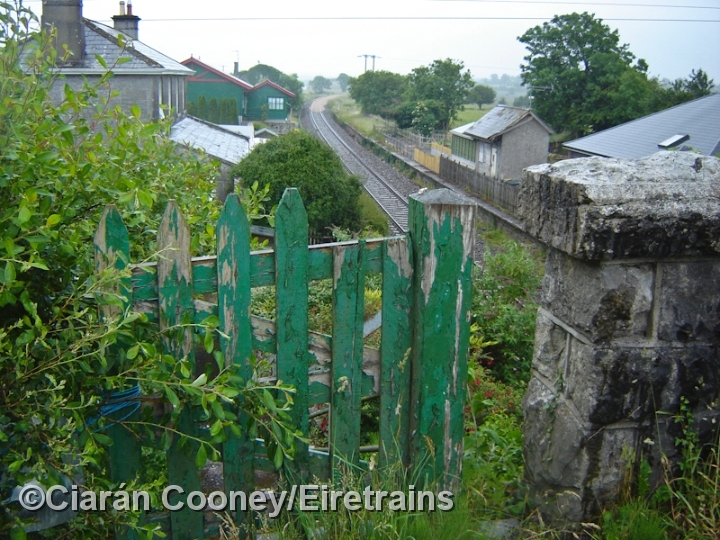 The station, built by the MGWR in 1863 to their typically designed two storey building on the up side, was closed completely in June 1963. 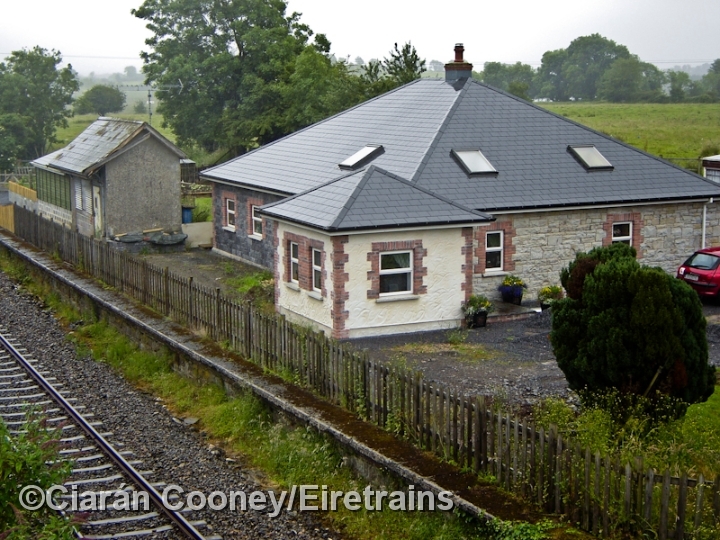 Although the goods shed at the Dublin end of the station is derelict, the disused signal has been restored.The cabin is unusually sited on the up side of the line, probably for sighting purposes. 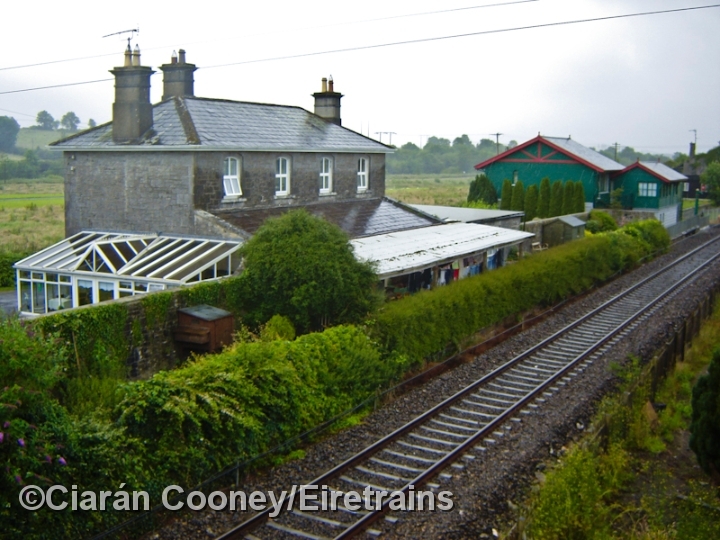 On the down platform is a small waiting room. 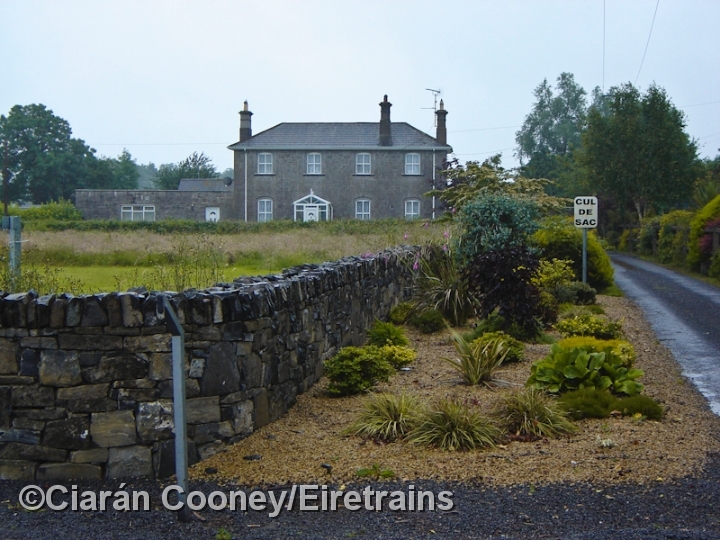 A new bungalow, which fits neatly with the railway surroundings, has also been built on the down platform.